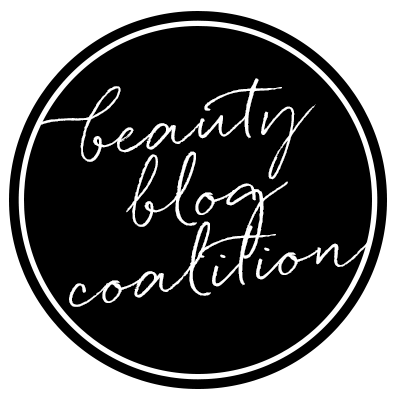 Who loves Korean beauty & skincare? Given its rise in popularity, I guess I should ask who doesn't, but you get my gist. 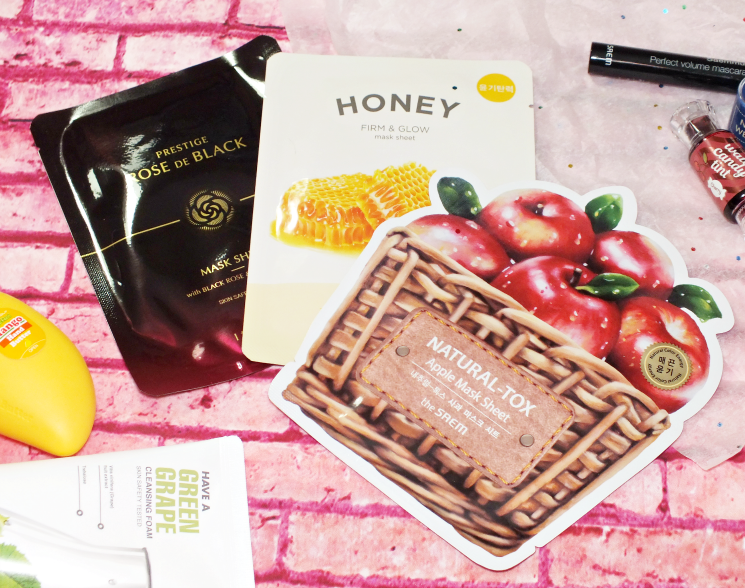 I've been a fan ever since my fist sheet mask, so it was easy to get excited about the new Geek N Pretty subscription boxes which are all about Korean beauty. 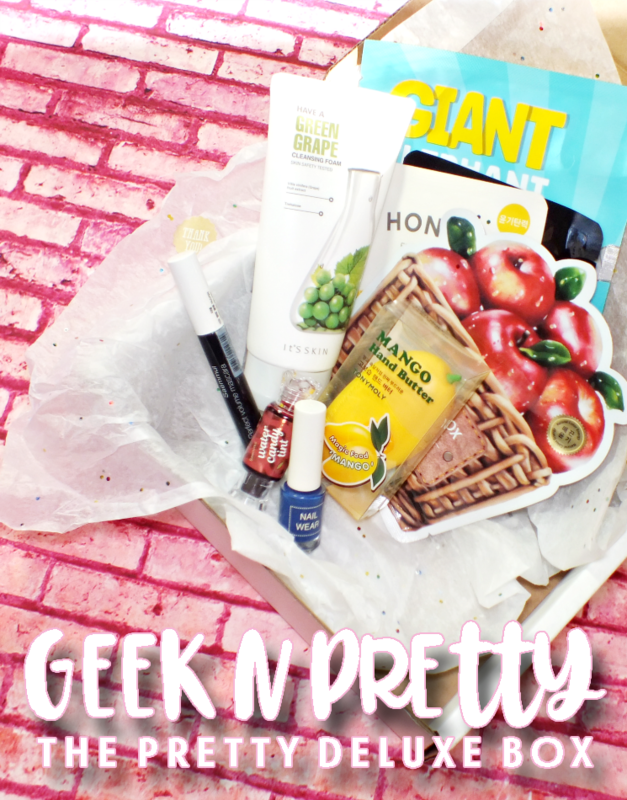 Geek N Pretty offers two bi-monthly subscription boxes (new boxes are released every two months) featuring an assortment of full size beauty, skincare and makeup products. All of the products come directly from Korea (to Montreal, where Geek N Pretty is based) to ensure the authenticity and quality. I love that Geek N Pretty offers a selection of well loved brands (think TonyMoly, Missha, Etude House, Skinfood, etc) along with those lesser known in North America. Okay, I think that about covers introductions, let's get to the goods! The Pretty Deluxe Box includes makeup, of which I received the very cute, The Saem Cherry Water Candy Lip Tint. The water-gel gives lips an intense cherry stain that lasts for hours, is cherry scented, and is packaged up like a wrapped candy. 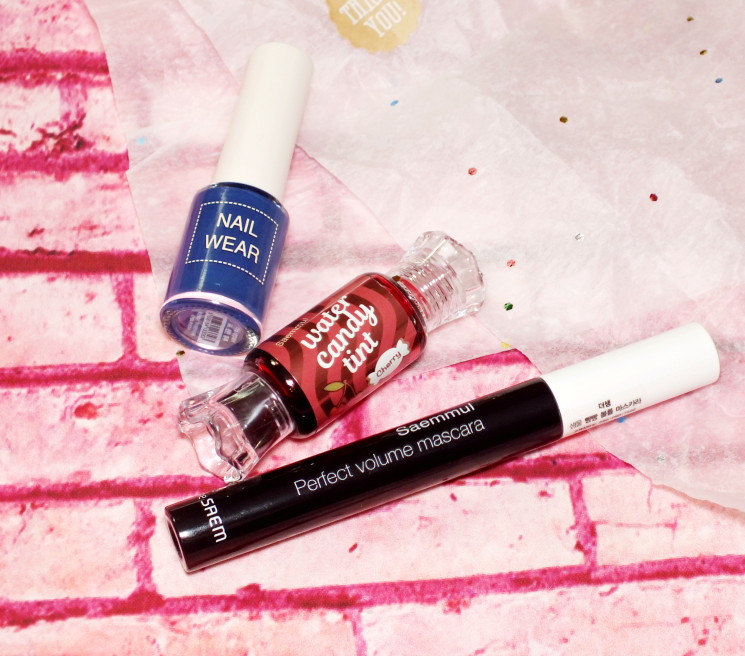 Nails are treated to The Saem Nail Wear in shade 30, a deep royal blue cream. I don't think I've ever found a blue shade I didn't love, and this seems to have a perfectly pigmented formula. Last up in makeup, The Saem Perfect Volume Mascara. The formula is waterproof (yay!) and claims to 'increase the volume of your lashes for an intense look.' The first coat was just okay, but the second, really gave great volume and definition, plus a ton of hold and lift thanks to the fact that it's waterproof. 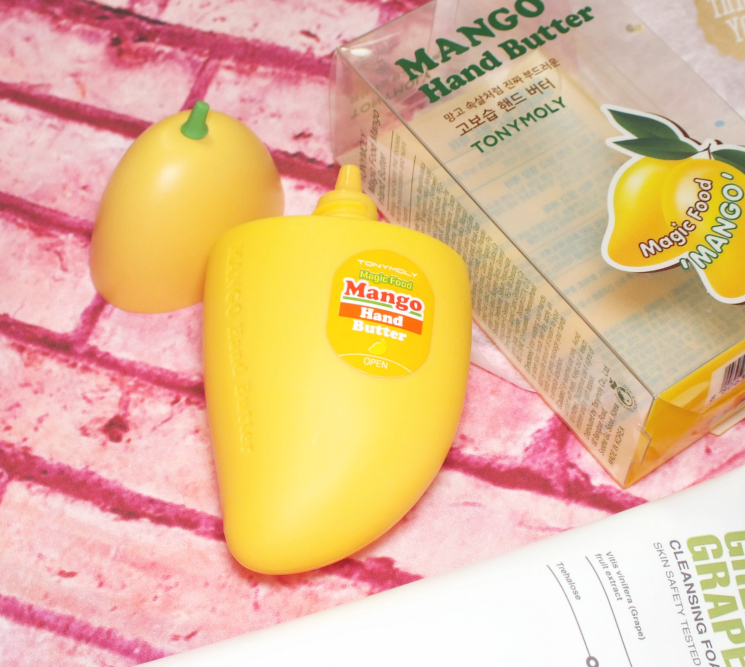 The beauty products in The Pretty Deluxe Box this round include the extra adorable TonyMoly Magic Food Mango Hand Butter. Shaped like a mango (little stem and all!) the hand cream is luxuriously thick, smells like a fresh mango, and feels pretty amazing on dry skin, all without being greasy. 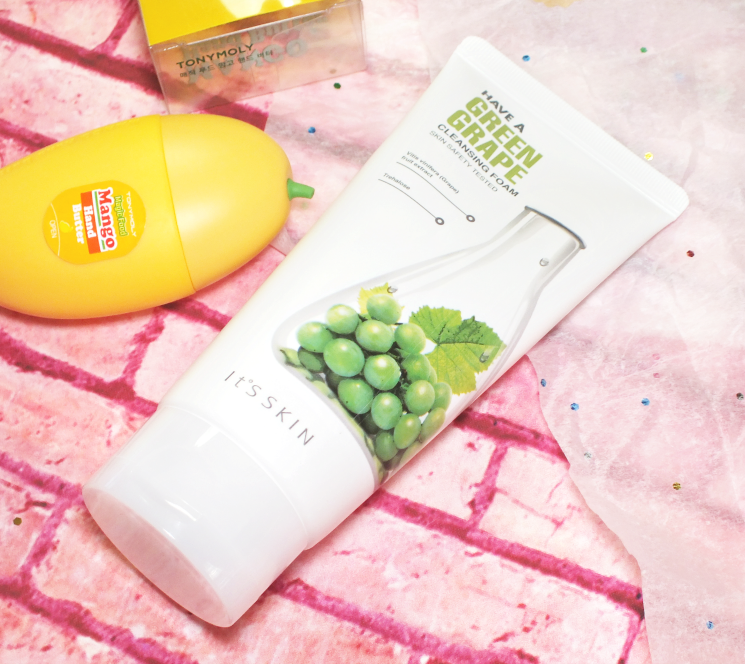 Skincare is obviously a big part of Korean beauty, with the It's Skin Have a Green Grape Cleansing Foam being represented in this box. I don't always love cleansing foams, which can be drying, but this formula is not only light in texture and fruity (with a light grape scent) but it is formulated to 'cleanse and nourish dry complexions' with fruit extracts and hyaluronic acid. It's Skin Prestige Rose de Black Mask: formulated to soothe, hydrate, and increase vitality with rose extract and rose water. The Saem Apple Natural-Tox Mask: natural red apple extracts work to smooth and brighten with the plant nutrition of lycopene, polyphenol, and organic acid. 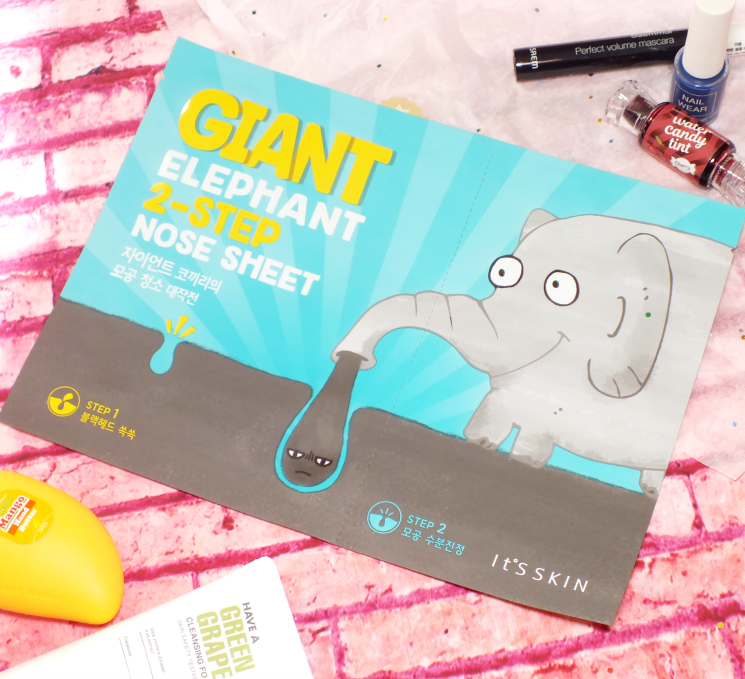 It's Skin Giant Elephant 2-Step Nose Sheet: this has to be one of the most unique masks I've seen, as it includes a two step process with what seems like a Biore-type nose strip followed by an essence soaked sheet mask to rid the nose and area of blackheads and congested pores. As mentioned, I received The Pretty Deluxe Box ($54.90 CAD) which is filled with nine full size beauty products, masks and makeup, but there is also a smaller The Pretty Box ($29.90 CAD) which has five full size beauty products and masks. There is a very handy Q&A on the Geek N Pretty site though, which answers just about everything. Overall, I love the idea of the box! It's a great way to indulge in Korean beauty without doing all of the leg work to source products yourself. What do you think? Would love something like this?